Legendary talents who have survived the many pitfalls and pleasures of the music industry, tend to be big characters with supreme confidence who love the centre stage. 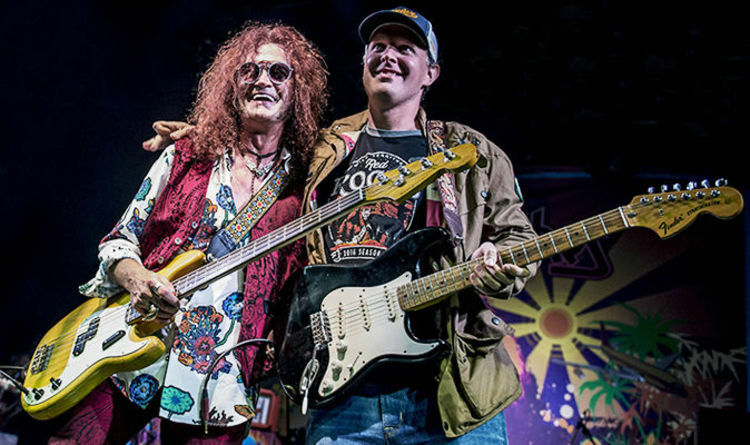 Add in a super-sized voice and an uncanny ability to write timeless tunes and you have Glenn Hughes, who is quite literally revelling in a very deep purple patch. Swaggering onto the stage, carrying his Fender bass in front of him like a lion-hearted standard bearer entering battle, Hughes pumped out the rumbling, thunderous riff to Stormbringer. It was a hard rock harbinger of the musical maelstrom to come. As if to herald the evening’s brilliantly executed set of Deep Purple classics, the grinding Hammond organ bellowed out a rare outing of Might Just Take Your Life. The effect of which must have had the venue staff looking to where the defibrillators were situated as the audience, mostly comprised of men of a certain age, visibly palpitated under Hughes’ sonic spell. Audio CPR followed with a dreamy and groovy Sail Away as a packed Electric Ballroom sang along with studious head nods to this deep cut from the Burn album. Looking every inch the rock star, with waist length long hair and cheek sharpening side-burns, in front of a backdrop of his cover photo from Purple’s final studio album Come Taste The Band, he and the band ripped into Tommy Bolin’s racy riff to Gettin’ Tighter. Hughes’ octave-defying, super-lunged delivery raised the decibels beyond the natural levels of the human ear. The dogs of Camden Town must have been howling with canine pleasure prior to the song melding into the more sedate and controlled force of You Keep On Moving. The fattening of the set by including too many long solo spots, at the expense of more songs, could not detract from the unfettered enthusiasm that greeted Smoke On The Water. The sardine-packed punters sang and fist-pumped along to the total pleasure of an elated purple shades-wearing Hughes. If a fired up, high octane encore of Burn wasn’t enough to send the awed purple congregation home to dig out their classic vinyl, then Joe Bonamassa strapping on a Strat to blow out the uber blues riff to Mistreated and a turbo-charged Highway Star had Camden dreaming. The voice of rock came, sang and conquered Camden Town tonight.